Joining The Walking Dead, now The Flash slows down as it suffers from a series low in ratings, which isn't too surprising. 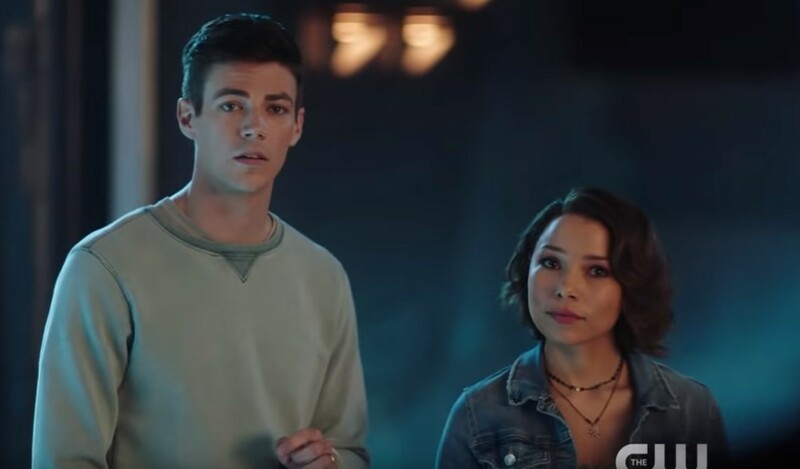 Following it's less than stellar Season 5 premiere, The Flash's second episode (same for TWD), dropped about 25 percent in ratings and 21 percent in viewership. The episode saw 1.64 million viewers tune in, its lowest ever, with a rating of a .6 in the 18-49 age demographic coveted by advertisers. As I stated above, the news the viewership and ratings are down isn't too surprising as last season was downright awful (Thinker was terrible), and this season isn't off to such a great start. The problem is that the writing and dialogue have just gotten so bad on all the CW DC shows (Legends, once my favorite is now unwatchable). What's basically going on in these shows and really all of Hollywood is the agenda to promote female characters over male characters, which is coming off as being forced and not organic. Case in point is Iris West basically being placed as the team leader, when the character has zero scientific knowledge. It's laughable. Now the new season has their daughter, whose dialogue is so cringy it's almost to the point of being unwatchable, as the star. Note: I'm not attacking the actresses, as they can only do so much with what they are given, as again the problem lies with the cruddy writing trying force a story where it's not. So as Hollywood attempts to force their liberal agenda on us, it comes off as inorganic, and fails (sound familiar Star Wars fans?). Regarding my thoughts on Legends of Tomorrow, I'm actually a big fan of Caity Lotz's Sara Lance and have been since Arrow, which is a female character done right; however, Legends has fallen from its heavier science-fiction themes to unneeded goofiness with last season's pitiful Beebo character and more of what looks to be the same this season with unicorns (really?). Obviously with Arrow a lot of fans can't stand Felicity, Supergirl is exactly what it states (goes out of its way to be just that), and then the new upcoming Elseworlds crossover introduces Batwoman (hopefully it's good). I'm sure those ratings will be higher than ever, DC and The CW. Keep up the good work.